Top-down or grassroots — it’s all a matter of perspective. Sen. Mike Crapo of Idaho has introduced a bill, S. 228, to block presidents from establishing national monuments. In a news release, Crapo criticized “top-down national monument designations” as potentially harmful to the local economy and public access. But from the perspective of communities in Crapo’s home state, to Montana, Colorado and New Mexico, federal legislation blocking use of the Antiquities Act might look like a “top-down” response to public-lands management. In fact, recent monument designations have been the result of years of work and lobbying by diverse community coalitions. In other words, the president was responding to grassroots campaigns, just as other chief executives from both political parties have since 1906. 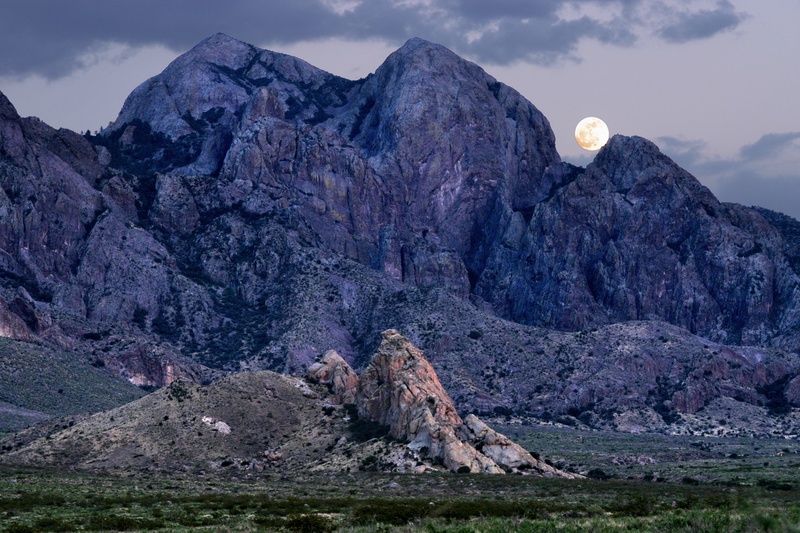 Approval of the Organ Mountains-Desert Peaks National Monument in 2014 was propelled by widespread public support. “We’ve been working on this for more than a decade. Sportsmen, many of whom own local businesses, have been diligently reaching out to community leaders and elected officials to make permanent protection of these important lands a reality,” John Cornell of the New Mexico Wildlife Federation said after President Barack Obama proclaimed the nearly half-million-acre area a national monument. In Idaho and Colorado, many hunters, anglers, wildlife advocates and other outdoor enthusiasts would like to join the celebration. Members of Sportsmen for Boulder-White Clouds support using the Antiquities Act as the “clearest path” to conserving the world-class fishing and hunting country in central Idaho because legislation has failed so far. For more than two decades, Coloradans have been hoping to see Browns Canyon made a national monument to maintain the rugged backcountry, hunting, fishing and whitewater rafting that draws people from across the country. Former Sen. Mark Udall, Sen. Michael Bennet and Gov. John Hickenlooper called on President Barack Obama to use his executive authority to establish a monument after legislation failed to advance in the 113th Congress. More than 500 people signed up to speak during a meeting in December that was attended by federal officials seeking public comments. Former Rep. Joel Hefley, who saw his Browns Canyon bill stall in 2006 due to “Washington-style politics at their worst,” wrote a recent op-ed urging action. “I’m hoping that we’ve finally pushed this thing through. It certainly deserves that protection after all these years and all the support we’ve generated,” Bill Dvorak, NWF public lands organizer and longtime rafting guide in Browns Canyon, told The Denver Post after the meeting in December. All the public, grassroots support would mean little if a president, who, after study and listening to community requests, would still have to win congressional approval to establish a new national monument. After all, congressional gridlock and ideological objections to conserving public lands are the reasons people to push for action under the Antiquities Act in the first place. “It is critical that states and affected stakeholders where a monument could be located play a key role in the decision-making process,” Crapo said when he announced his bill to fundamentally change the Antiquities Act. What really is critical is that Americans have another avenue when Congress ignores affected stakeholders and communities. It is critical to preserve the Antiquities Act, which gave us Grand Canyon National Park, Muir Woods National Monument, the Statue of Liberty National Monument, Dinosaur National Monument…and many, many more. Contact your federal representatives. Tell them you oppose changes to the Antiquities Act. Make sure we continue conserving our special places!